In this video, we move forward with the engine cover upgrades. 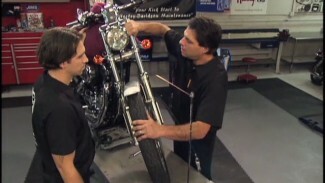 Bob will show us the step by step procedure on Harley cam cover upgrade. 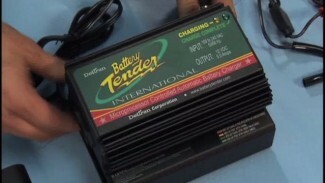 We still have the tank off from the rocker box cover upgrade. Next Bob has to remove the exhaust, making sure to inspect all parts while the exhaust system is off. We will replace the exhaust gaskets. He will remove the O2 sensors and any hardware to remove the pipes and set them aside in a safe location. The oil is drained and the stock Harley cam cover and gasket is removed with a drain pan underneath to keep your working area clean. Now is a good time to inspect the cam chain tensioner shoes for wear. 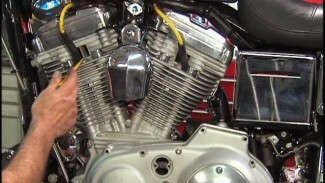 Bob installs a new gasket and the new cam cover. 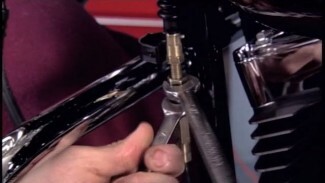 Make sure to follow your manual or in this case the manufactures bolt tightening and torqueing sequence.